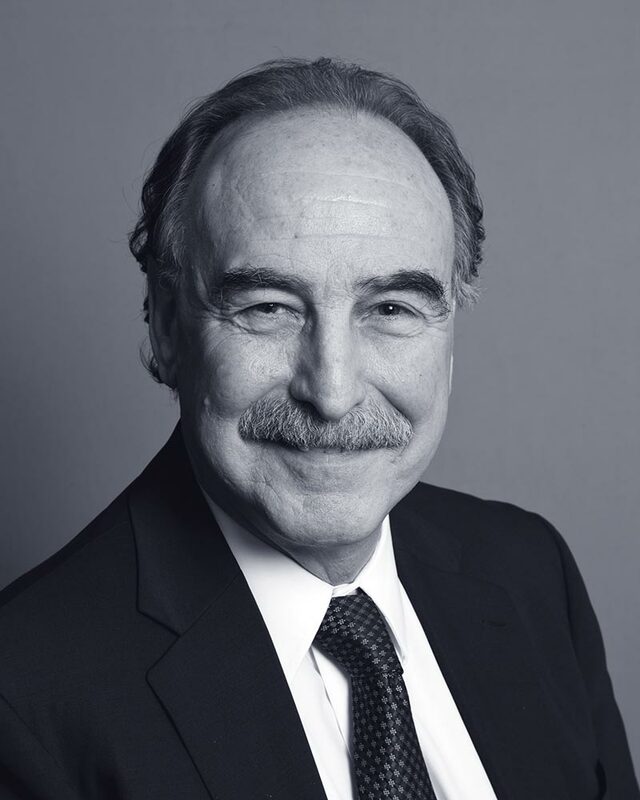 Louis E. Teitel heads Dunnington’s transactional real estate practice and is a member of Dunnington’s international and Italy desk practice areas. Early in his career, he began representing developers involved with the purchase and conversion of New York City loft buildings into cooperative apartments. In the late ’80s, he was retained by many Chinese private and public enterprises doing business in the U.S. in litigation and with their U.S. acquisitions. One of these clients, the Chinese Academy of Science, asked him to give a series of lectures to the State Science and Technology Commission in Beijing, Shanghai, Qingdao, and Nanjing with respect to Chinese commercial interests in U.S. transactional matters, and in the ensuing 30 years, he has continued to counsel many foreign companies doing business in the U.S. Throughout his career, he has guided landlord’s, commercial tenants, real estate developers, portfolio investors, joint venture partners, office property managers and cooperative boards in sophisticated real estate transactions. Mr. Teitel received his Bachelor of Arts from Hamilton College in 1968 and his Juris Doctorate from Fordham Law School in 1973. He is admitted to practice law in New York State and the U.S. District Courts for the Southern and Eastern District of New York. He is AV rated by Martindale-Hubbell. Representation of multinational corporate client based in New York in negotiation of 10 year Extension and Modification of Net Lease for 819,325 sq. ft. of space in Class A Office Building, with two 10 year renewal options. Representation of well-known multinational electronic company in negotiation of Design/Build Agreement for client as an anchor tenant in major new Office Building Complex at Columbus Circle. Representation of partner/developer in workouts of prospective and pending mortgage foreclosures related to five (5) separate complex New York City construction/development projects originally funded by major investment bank that filed for bankruptcy. The construction loans for each of the five (5) projects exceeded $200,000,000. Representation of foreign investor in negotiation and settlement of claim for return of contract deposit made by investor to acquire residential U.S. property. Representation of LLC in sale of SoHo property to foreign purchaser. Negotiation and settlement of disputes by LLC members in connection with the management and sale of the property. Representation of New York estate with respect to estate’s successful efforts to recapture property originally owned by decedent, which was in possession of third party through fraudulently obtained deed. Representation of client in sale of Westchester property to developer structured as 1031 exchange for tenancy in common interest created in replacement rental property owned by client and third party. Negotiation of tenancy in common agreement and financing for replacement property. Representation of absent investment partner in general real estate partnership to prepare, analyze and frame litigation claims in connection with complex, self-dealing transactions over a 20 year period by managing partner. Representation of closely held New York City real estate company per New York County Supreme Court Court Order directing auction sale of prime townhouse in West Village because of uncooperative partner/manager; preparation of documentation for and closing of auction sale. Distribution of partnership proceeds from escrow, preparation of final accounting in conjunction with formal settlement and dissolution of the company. Representation of private client in 1031 tax-free exchange sale of five (5) New York City properties in conjunction with acquisition of three (3) newly built triple net-leased replacement properties in Illinois. Representation of well-known New York City hotel and private club with respect to leases for large brand restaurant, retail stores and spa. Representation of insurance company in new 80,000 sq. ft. headquarter’s Sublease from major bank in downtown Brooklyn office building complex. Representation of owner of New York City landmark property in air rights sale to developer derived from a portion of owner’s unused development rights negotiated in connection with complex zoning lot development agreement and construction licensing agreement with developer. Representation of one of the largest private equity firms in China with respect to sublet of Park Avenue office space. Representation of 9 separate owners in $41,000,000 sale of Times Square property to real estate investment trust (REIT) with separate contract options afforded to each owner to receive all or a portion of their allocable purchase price in common, preferred or convertible preferred shares of the REIT operating partnership, effecting for those electing said option a Section 721(a) tax free exchange. Representation of manufacturing client in asset sale involving purchase and net lease of properties with purchase options, subject to varying regulatory remediation requirements in regard to hazardous waste. Representation of major European soccer club with respect to lease of midtown offices in NYC.